In a survey commissioned by Allergan last year, nearly half of respondents reported being bothered by the appearance of fat under the chin (or a “double chin”). Most of those people believed others noticed their double chin, and many of them reported avoiding photos and video chats due to feeling self-conscious about the area. In many cases, a double chin, or as doctors refer to it, “submental fullness,” is genetic and very resistant to diet and exercise. Under those circumstances, a person may feel as though they are out of options to correct the problem. Luckily, plastic surgeons like Dr. Charles S. Lee of Enhance® Medical Center offer a solution to the bothersome double chin. The best part is, the treatment is non-surgical and can be performed in the comfort of the doctor’s office. 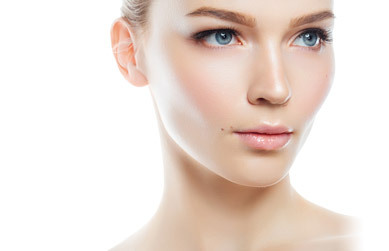 Through a series of injections of a product called Kybella, Dr. Lee can reduce or eliminate submental fullness and create a slimmer and more sculpted facial appearance. Kybella contains deoxycholic acid, a naturally occurring substance that assists in the breakdown and absorption of dietary fat. When injected into unwanted submental fat, Kybella destroys the fat cells so they cannot store or collect fat. The exact number of injections needed varies by patient. Most patients require a series of injections during two to three visits, spaced out a month or so apart. The injections take about 15 to 20 minutes to administer. In the weeks following treatment, the area underneath the chin gradually starts to look slimmer and more youthful. The jawline looks more defined. Once the desired results have been achieved, no further treatments are required. Kybella has been approved by the FDA for safely and effectively treating moderate to severe fat under the chin. You may be a candidate for Kybella if you have moderate to severe excess fat underneath your chin. Your “double chin” might be due to genetics (i.e., you inherited it from a family member), weight gain or the natural effects of the aging process. You should not be pregnant or nursing at the time of treatment or have any infections that could lead to a complication during or after the injections. To speak with Dr. Lee about Kybella in more detail, we encourage you to schedule a consultation at Enhance® Medical Center. Please call (310) 271-5954 or email our office today to book your visit.